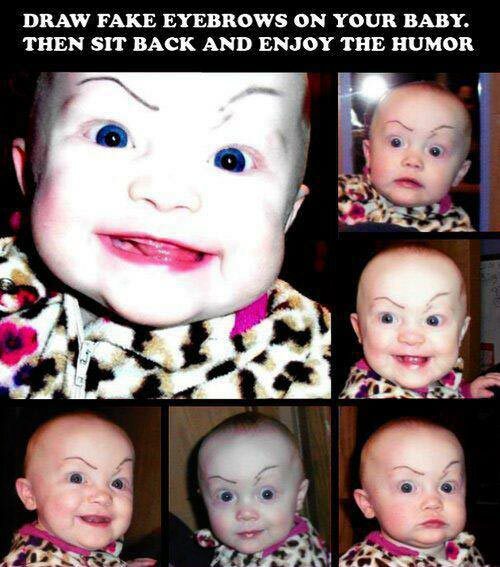 Draw fake eyebrows on your baby. Then sit back and enjoy the humour. Created about 5 yrs, 9 mths ago (July 7, 2013). Updated about 5 yrs, 9 mths ago (July 7, 2013).